State PKR chairman Baru Bian says its a dark day for native Sarawakians as ruling shows nothing can be done to stop oppression of communities and denial of rights. PETALING JAYA: Sarawak PKR chief Baru Bian has called the ruling which freed three prime suspects over the murder of Bill Kayong, a devastating blow for justice and a dark day for the people of Sarawak, especially the indigenous. “The ruling today by the High Court judge in the Bill Kayong murder trial is a devastating blow for the people who are seeking justice for Bill Kayong’s family,” Baru said but he pinned the blame on the prosecution. “The prosecution had failed to put up a credible case against the mastermind. One could sense the frustration of the judge in ，having to put up with an inept prosecution,” the state PKR chairman said, adding that rulings are based on evidence presented before the court and without putting forth a strong case, the prosecution had failed to even get its case off the ground. Referring to the former Miri PKR secretary’s work as a social activist, Baru said it was obvious that Kayong was murdered for helping to defend the rights of the indigenous population in the state. 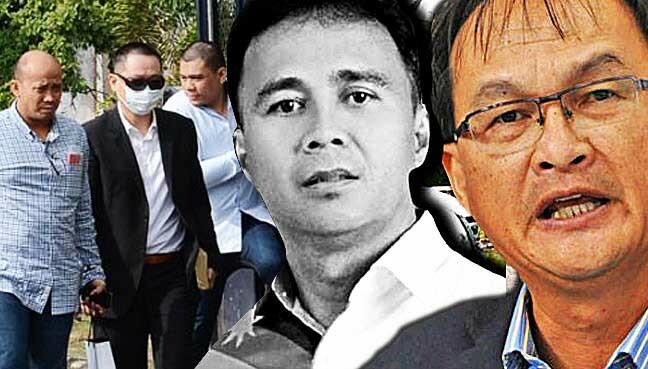 Earlier today, Sarawak businessman Stephen Lee Chee Kiang, Lie Chang Loon and Chin Wui Chung were all discharged and acquitted without having their defence called, while Mohd Fitri Pauzi, the man charged with pulling the trigger in the mafia-style murder, was ordered to enter his defence for the murder of Kayong. Kayong, whose Muslim name is Mohd Hasbie Abdullah, was gunned down while in his Toyota Hilux vehicle about 8.30am on June 21 last year, at a traffic light intersection at Lutong near E-Mart supermarket in Jalan Miri-Bintulu. The killing of the Miri PKR leader was believed to be linked to his work as an advocate of social issues, especially on indigenous rights and land issues. In acquitting the trio, High Court Judge P Ravinthran ruled that the prosecution had failed to furnish evidence linking the trio to the murder. Baru called the whole trial and subsequent release of the three main suspects a mockery of justice. “The trial will be remembered for the supposed key prosecution witnesses switching sides during the trial, while many named witnesses from the communities who could have testified to give useful evidence were not called. “The threats made against Miri MP Dr Michael Teo and the late Bill Kayong were not adduced in the trial. The whole conduct of the case leaves much to be desired,” he said. 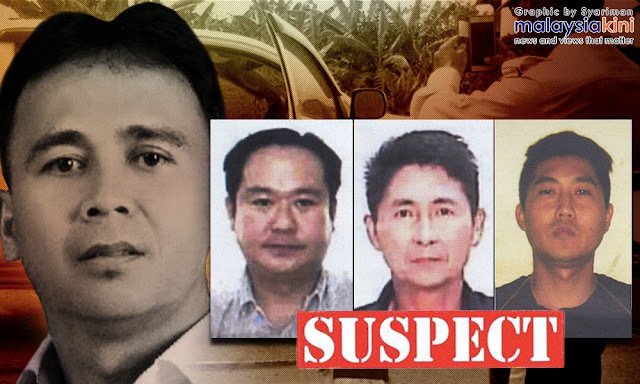 The Ba’Kelalan state assemblyman said there is no doubt the question asked by most people following the case would be the reason for Stephen Lee to flee the country just two days after the murder, allegedly with the intent of hiding out in Australia, then China while authorities had issued a warrant for his arrest. “Why did Stephen Lee flee the country immediately after the murder if he was innocent? “After hiding in Australia he fled to China, and it took months and the co-operation of the Chinese authorities before the authorities were able to bring this fugitive back to face trial." “After all the efforts taken to capture him, he has been released because of insufficient evidence? This is a complete joke and points to serious deficiencies in the prosecutor’s office,” Baru said, questioning the conduct of the deputy public prosecutors involved in the case. He lamented the ultimate message to the native Sarawak population from this ruling is that nothing can be done to stop the oppression of their communities and the denial of their rights. “This ruling has sent a very wrong and disturbing message,” he said, urging the Sarawak government to settle the recognition of “pemakai menoa” and “pulau galau” without further delay.